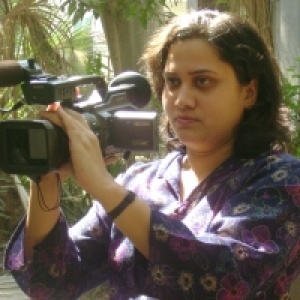 I am Suparna, a filmmaker and a Video Journalist from India. As a person, I am very focused, passionate, and articulate. My biggest strength is that, I connect with people, be it my team, my clients or people who are part of my visual story. I have studied Management (MBA-Human Resource Management) and have further done a course in Video Direction. I have produced and directed corporate films, documentaries and adverts for clients for 10+ years under my own proprietary firm, ‘SMS Productions’. I have directed some gigs for local television channels as well. My heart lies in creating content on topics that I strongly feel about. I have an inquisitive mind and my favourite childhood game was ‘hide & seek’, where I would be the one always willing to be the seeker. I wish to give myself the opportunity to liaison with the world and create visual content that excites me. I hope to network with commissioning editors who share a similar outlook like mine and look forward to some exciting work.